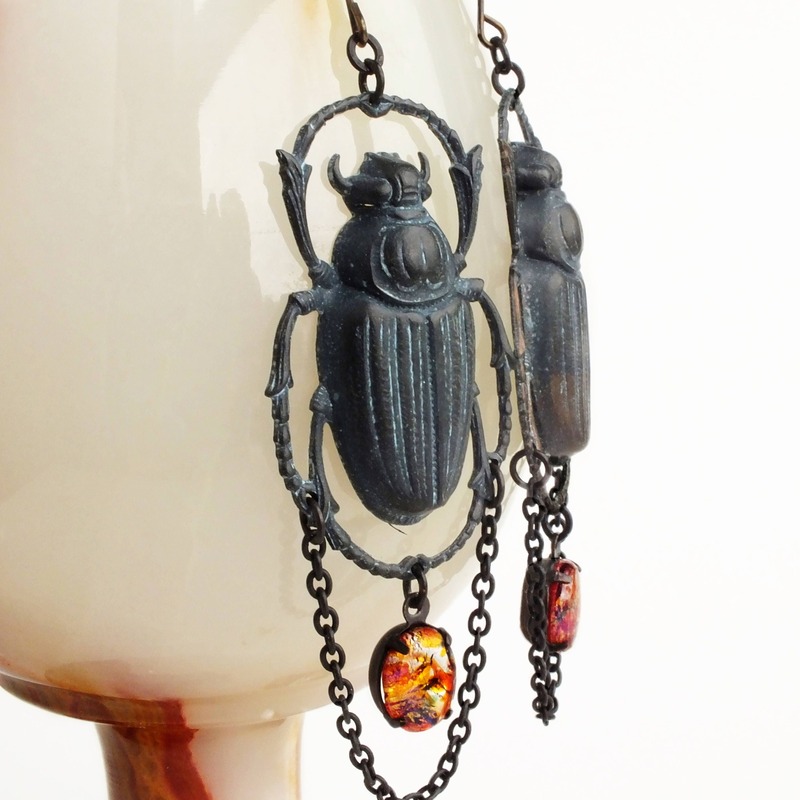 Large handmade beetle earrings with black brass insects and vintage glass dragons breath opals. 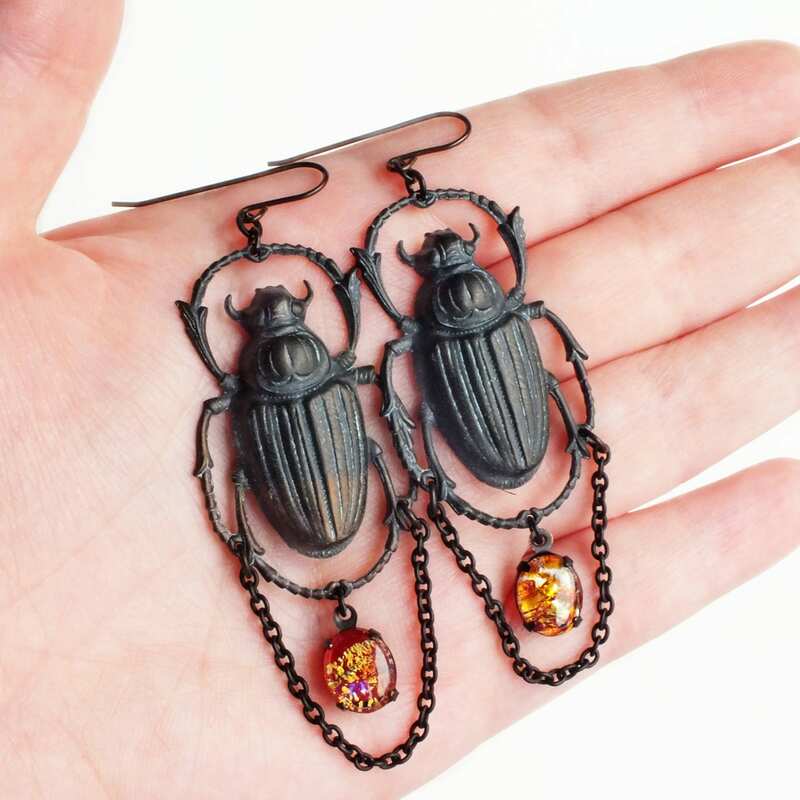 Beetles are 1 5/8 inches - 4.3 cm. 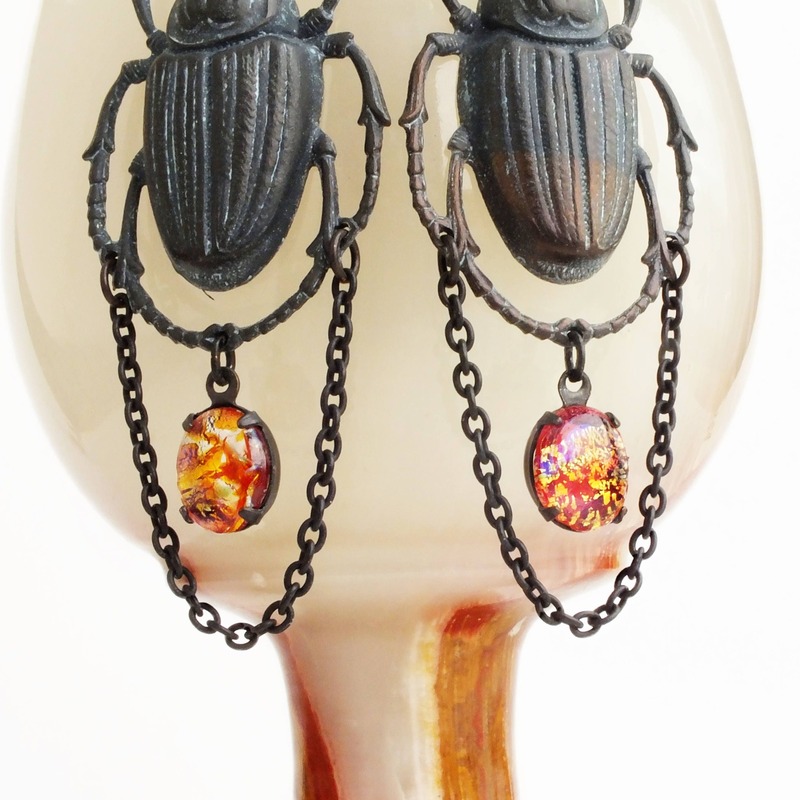 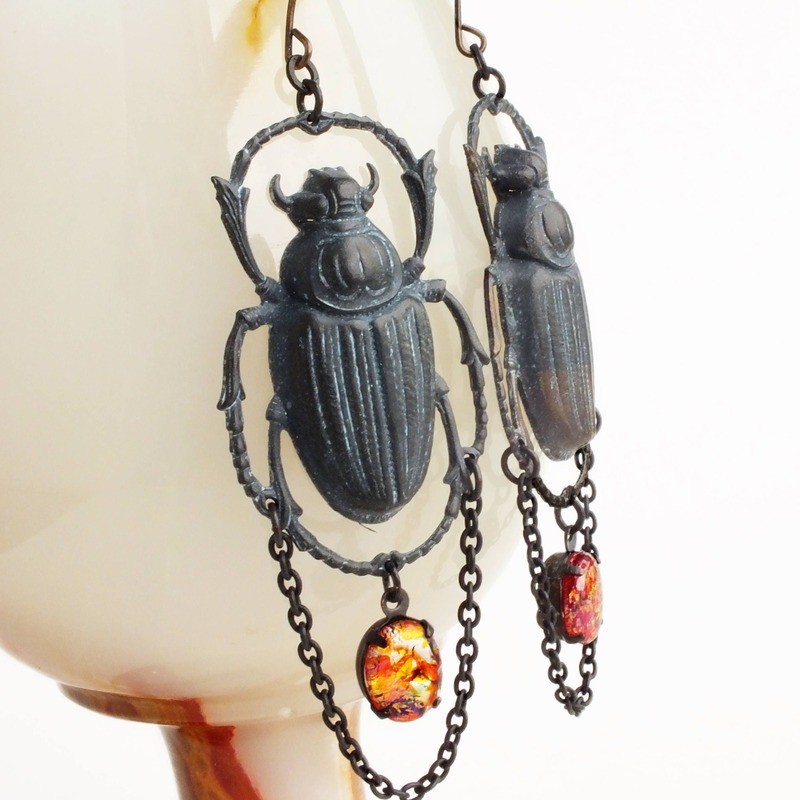 Made with extra large beautifully detailed weathered black brass beetles adorned with genuine vintage iridescent red glass fire opals and chain dangles. 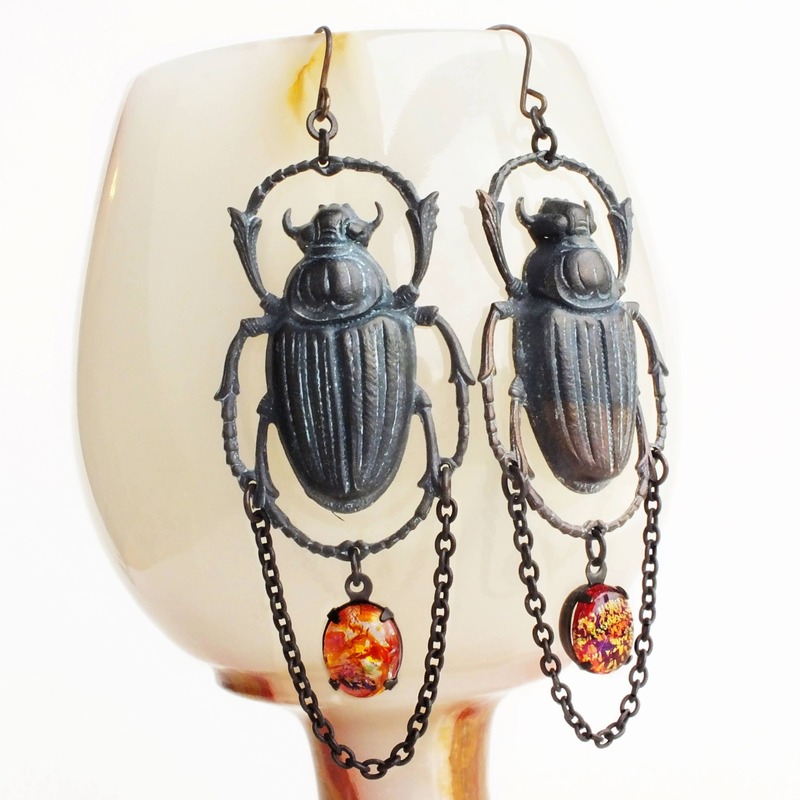 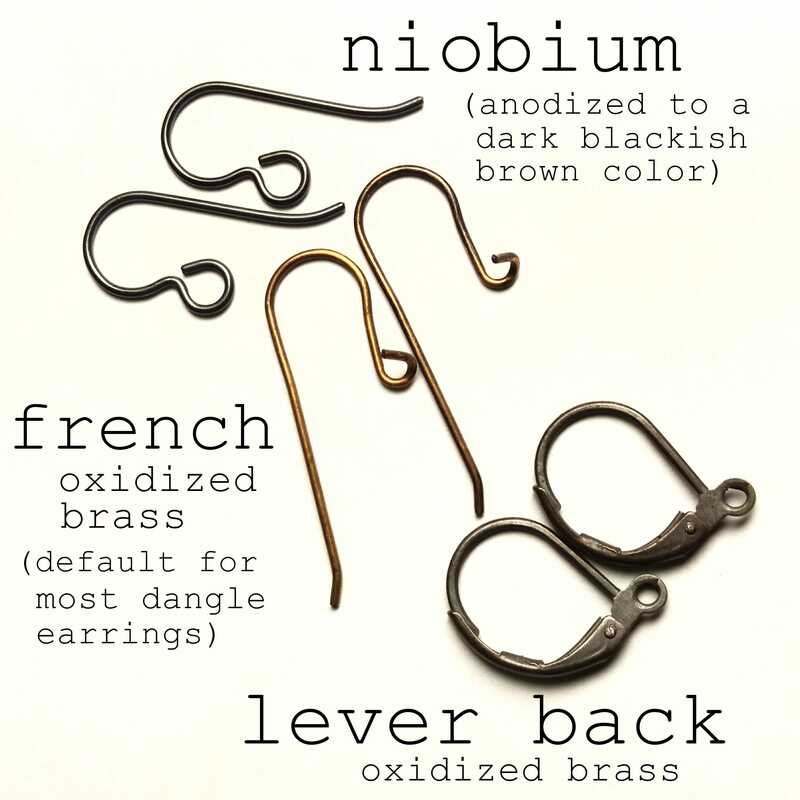 Please note these are really large but NOT heavy - they are quite comfortable to wear.